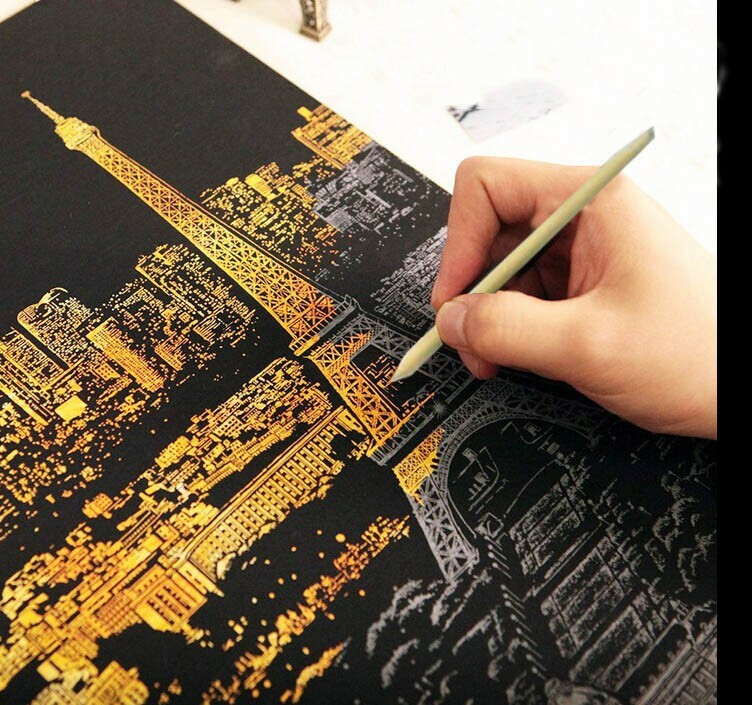 Gorgeous Nighttime World Landmarks Come to Life through Scratching! BEST DIY Home Decor – Fun and creative way to decorate your place with stunning and stylish world-view designs. Easy to Scratch off - Grey Lines give easy trace for scratching. The coating comes off easily and leaves the gold color underneath shine. High Quality Material – Non-toxic coated paper with high quality scraping ink. No irritating smell.